Currently, Crystal Peaks serves between four to five thousand visitors a year. What makes this program unique is that most of the 25-30 horses that live on the ranch have been rescued from violent abuse or life threatening neglect. 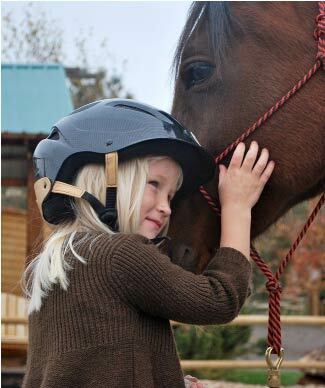 These extraordinary horses, each of which have their own stories of triumph and hope, are paired with one leader and one child for every 90-minute riding session. These sessions are designed to be adaptable to meet the distinctive needs of each child. Instead of being lost in a group, every child is nurtured by a leader who shares in his or her individual challenges and victories. All of this is done free of charge. 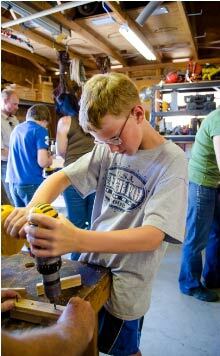 Through hands-on experience, kids are taught the values of hope, family, trust and faith. 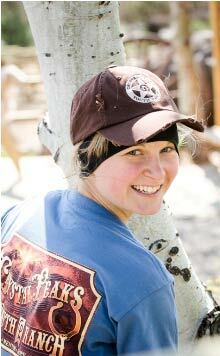 Although the primary focus of the ranch is to serve disadvantaged children, the program is available for any child. 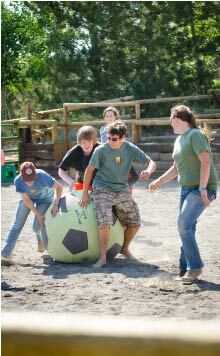 The only true prerequisite for kids visiting the ranch is that they WANT to participate. A desire to come is an indication of a heart willing to try. It is from this willingness that broken hearts and lives can be lead toward healing. The ranch has also built strong relationships with other various local organizations that work with youth and families faced with extraordinary challenges. Crystal Peaks shoulders with these organizations by reserving blocks of sessions on a weekly basis for those children referred by these groups. Along with the Session Program, the Volunteer Program is a large part of our ministry. Each week we are privileged to join alongside children, families and individual adults who come ready to help wherever needed. 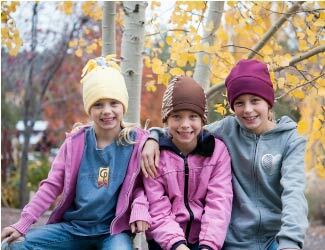 Volunteering at Crystal Peaks is designed to be much more than getting chores done. By working side by side, we have the privilege of seeing the Lord mend hearts by drawing kids, families and staff closer to Him and each other. Within this generation of broken and blended households, Crystal Peaks seeks to shoulder with what every child and adult desires most... a family.